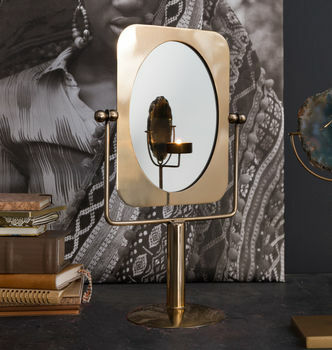 A tiltable table mirror in a brass lacquered finish. This brass mirror on a stand is perfect for placing on a dressing table or on a bathroom shelf. It would look as good in a country cottage, a rustic bathroom or in a more contemporary interior. 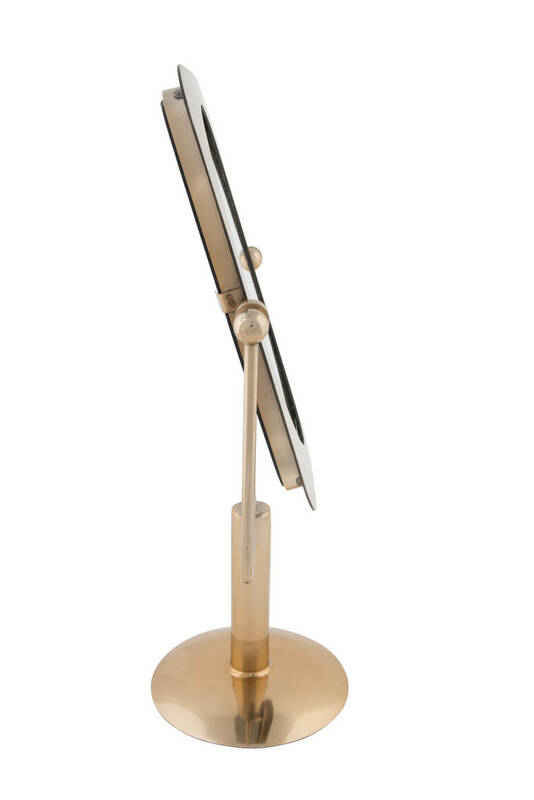 A great birthday present or gift for any style conscious home.